Sharing an unfenced boundary with the Kruger National Park, the pristine private Manyeleti Game Reserve is home to Tintswalo Safari Lodge. Located on a river bank overlooking the wilderness, it offers a ’safari with soul’ and uninterrupted Big 5 game viewing experiences. 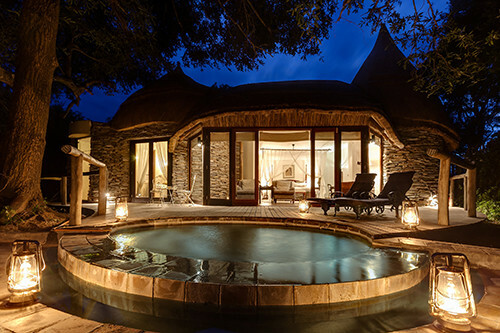 A landmark of luxury accommodation and service, Tintswalo Safari Lodge is known for its warm hospitality. Guests are accommodated in six luxuriously appointed Explorer Suites, as well as the expansive Baines Presidential Suite, or the 2-bedroom Grant Suite. Themed after 19th Century African explorers, each air-conditioned suite boasts a private deck with plunge pool, four-poster King bed, and an opulently finished bathroom. 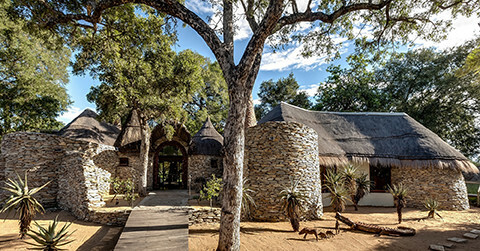 Private and exclusive, the Manor House at Tintswalo Safari Lodge is the ideal destination for family holidays or groups of friends travelling together, offering 5 bedrooms with en-suite bathrooms, as well as the services of a private chef, guide and game viewing vehicle on an exclusive-use basis. private plunge pool on the viewing deck from the room. Experience superb home-style safari dining at Tintswalo Safari Lodge, where contemporary cuisine is created with only the freshest of ingredients. Guests may enjoy a variety of meals, such as plated breakfast; brunch and “bush breakfasts” bush picnics; Afternoon teas; plated dinner in the dining room; boma dinners; bush dinners. Meal times are designed around our guest’s unique needs and dietary requirements, to create the ultimate five-star dining experience. AND you can never forget your camera behind because you never know what you might see even just whilst having lunch!! Please check our website for extra day activities to make the most of your time in this beautiful area.